Nothing can be more stylish for the fashion-conscious man than Zanetti suits. Zanetti has been making fine men's Italian clothing for over 20 years. Zanetti suits are made from the finest fabrics and with the highest quality workmanship. Zanetti suits have been seen on TV, in movies and in reputable fashion publications including GQ and L'Uomo Vogue. Zanetti has a diverse and unique list of clientele of sophisticated men, including NBA and NFL players, television, music and recording artists. Zanetti suits are available in various styles and colors. Their modern designs will give any well-dressed man a polished, professional look. Zanetti suits are comfortable, durable and luxurious. Whether it's professional attire for the office or a formal affair, a suit made by Zanetti is suitable no matter what the occasion. Zanetti classic suits are stylish and professional. Their style is timeless. Zanetti extrema are trend-setting suits made especially for men who are tired of the same boring office suit. Extrema is the most expensive and fashion forward line offered by Zanetti. Zanetti also manufactures and designs suits for The Steve Harvey Collection and The Earvin Magic Johnson Collection. All lines by Zanetti strive to encompass and satisfy the lifestyles indicative of today's man. Keep in mind that solids are less common than Zanetti's bold use of stripes and windowpane designs for their suits. Solids are available but not in abundance. The Zanetti line is very fashion forward and their designs are bold and will get you noticed. Zanetti suits are made from super fine virgin wool, 100% wool or super fine Merino wool. All wool is from Italy. Pleated, double pleated or reverse double pleated. 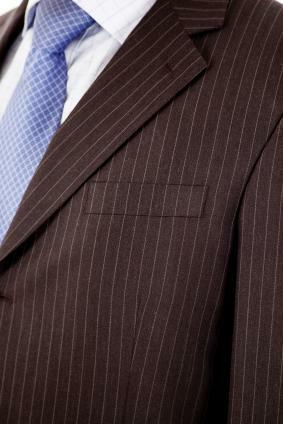 Zanetti suit jackets can be either two button, three button, double breasted, single vented, double vented, or vent-less. Zanetti fully lines their jackets and their pants are lined all the way down to the knees. With the range of styles available by Zanetti, any man should be able to find the particular look they feel most comfortable wearing. Men'sUSA offers Zanetti suits at low prices. They have several styles to choose from that will please any shopper. Upscale Menswear sells designer men's wear and specializes in Italian suits including ones from Zanetti that are custom designed just for their store. Polished Threads is a retail menswear store that offers designer suits from high-end Italian suit makers such as Zanetti. Wearing a Zanetti suit will get you noticed. Don't forget to add a great tie and dress shirt to complete your look!